August | 2011 | Brush off the dust! History now! When I was a graduate of the first grade, in the summer between primary school at St. Mary’s parish and second grade at St. John’s in Saint Francis de Sales Catholic School, my parents planned a summer vacation in the American Southwest to visit my grandparents, geological wonders and vestiges of ancient cultures. Before it was over, while visiting my mom’s parents in Albuquerque, my brother left us and flew to Colorado Springs, where he would begin his Air Force career, showing up for duty and his freshman year of college at the United States Air Force Academy. 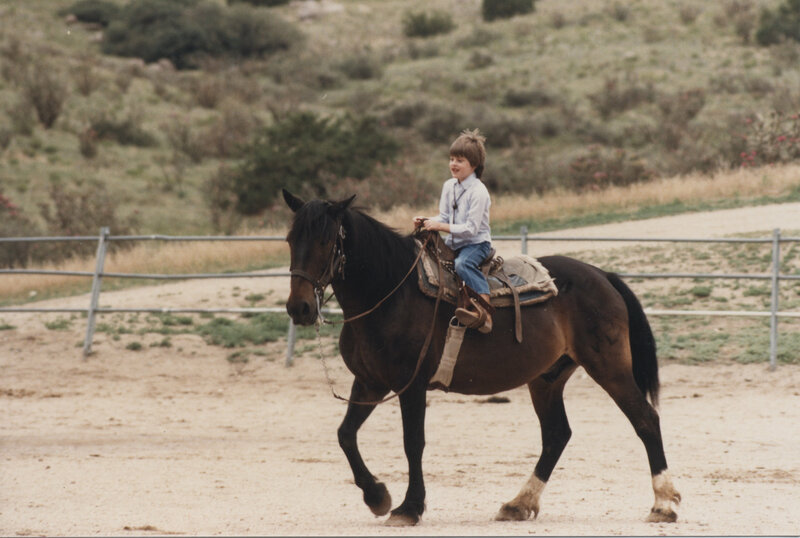 My brother’s subsequent absence in the following years influenced my life’s initial path, but perhaps no more so than the trip itself did to my long-term trajectory. Growing up with my big brother in the Air Force, I was enamored with planes. My favorite movie after the Star Wars trilogy was Top Gun—I forgave them for being naval aviators. I wrote a short history of aviation for my first social studies fair in junior high—I ran well over the five minute-allotment for my oral presentation to the judges. 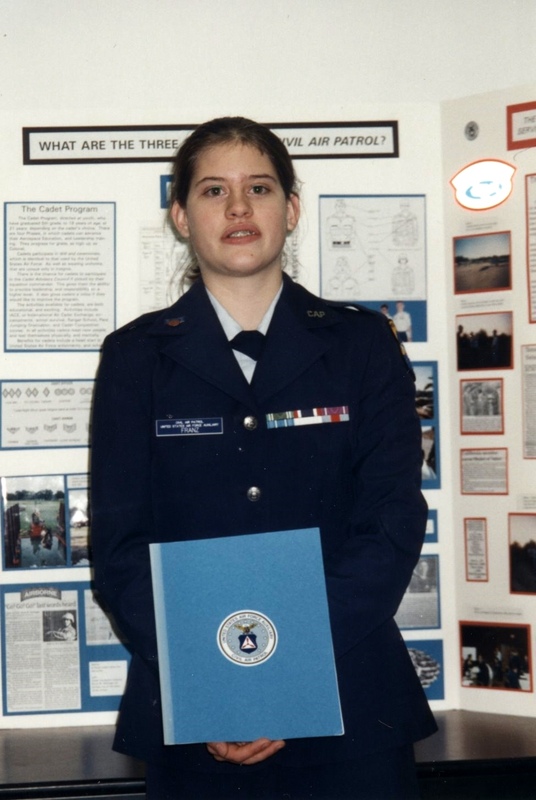 In eighth grade, I joined the Civil Air Patrol (CAP), the official civilian auxiliary of the U.S. Air Force, to increase my potential with the Academy. In ninth grade, my social studies fair project was the history of CAP (which is actually older than the Air Force, having been founded during World War II). My sophomore year at Morgantown High School, I wrote a project on the future plans of aeronautic and aerospace developments. For years, a certain emulation was my career goal. I logged more hours flying than driving until my mid-twenties. But, slowly, something began to change. Civil Air Patrol was founded in WWII to assist in plane spotting on the coastlines and borders--they even sunk some U-boats! 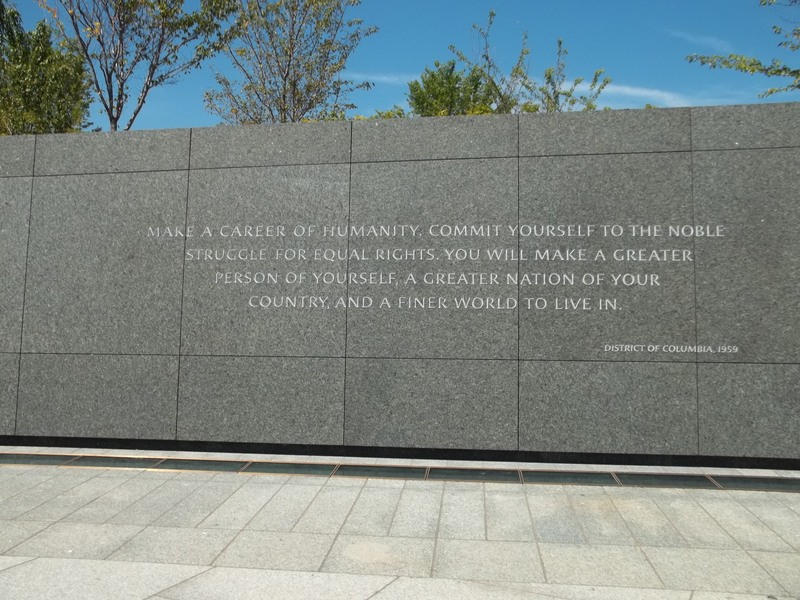 In the ninth grade I took Mr. Ingle’s world history class—not more social studies for the first time. We began with the city of Ur, a name that delighted me and my friends as we pictured roving cavemen deciding to settle down and build a city, “What else would they call it?” The enigmatic Harrapan culture tantalized me with its undeciphered script and sophisticated engineering. I wrote two projects that I still remember, today. One was about the origin of Chinese Taoism and the other about the Mongols. Perhaps more interesting than the subjects, was the process, what I called “doing the detective work”. I realized I had adapted the irritating, time-consuming, note-card process we’d been taught in English class, into a streamlined, equally effective system that allowed me to combine notes with my outline efficiently. 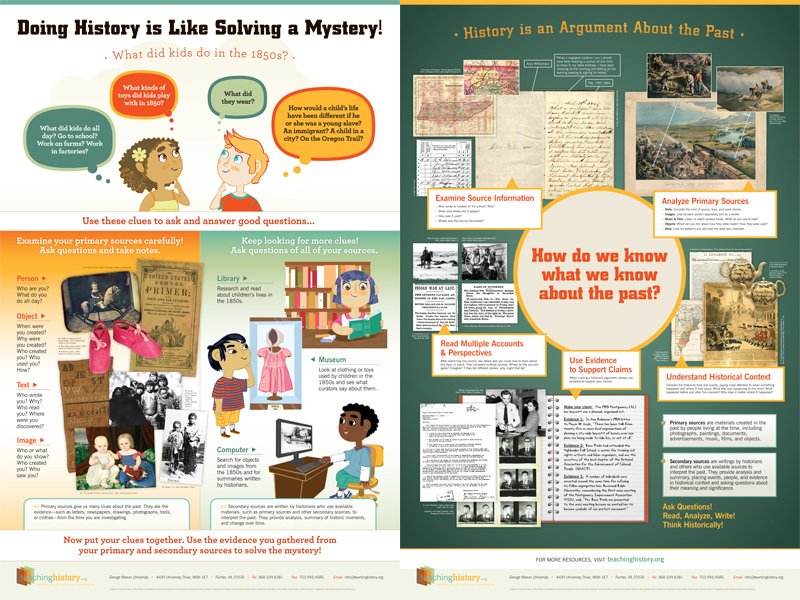 One could argue my committed relationship with history began there, but, truthfully, I think it was only the first flirtations with my love for the process—the active learning I engineered through research projects. Still, my goal remained the Academy for years; the back-up plan from eighth through tenth grades was to join Air Force ROTC and learn how to design jets at Embry-Riddle. But, I showed little natural aptitude for math and science, despite my interest, and balked at the necessary work to achieve genuine, long-term understanding. Indeed, even during my infatuation with the Air Force and flight, I tended to look backwards at the stories that brought us to our modern capabilities. Finally, in my senior year of high school, while taking AP American and European history classes (and jamming in two AP English courses because I was absent the year before), it clicked. I loved the past! I was going to study the past. The year before, I lived with two host families in Germany as an exchange student. 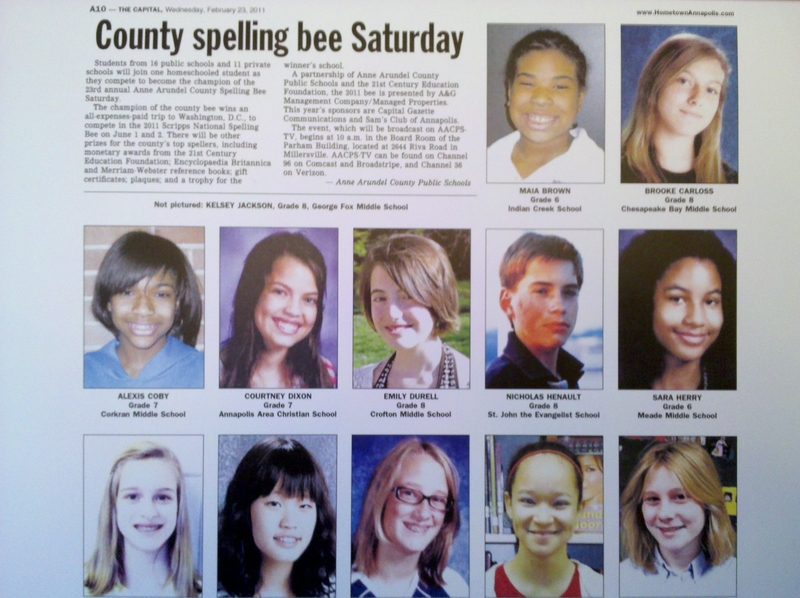 As a result, I missed much of the junior year courtship with colleges and universities. It was not until spring of my senior year that I visited the only school to which I applied, The Catholic University of America, where I would meet with the head of the history department in a basement office of a dormitory, down the hall from the laundry, in one of the oldest buildings on campus. 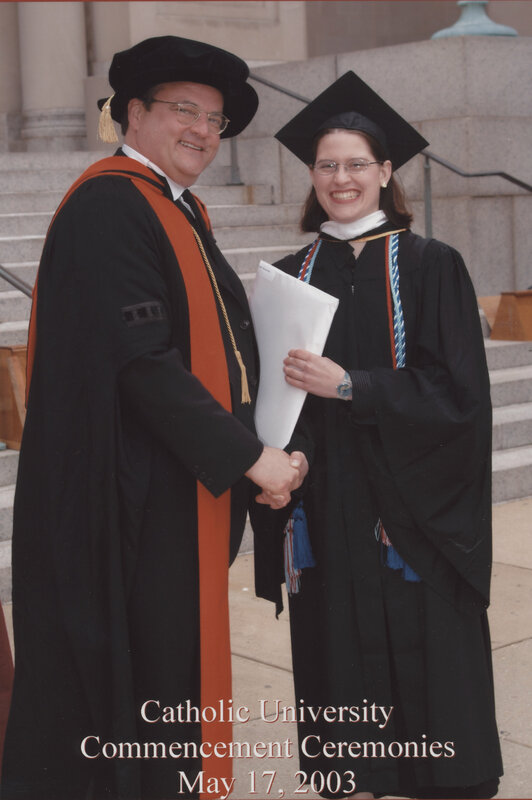 I was candid with Dr. Poos: I was considering the anthropology department, as well, and its archaeology concentration; in fact, I was already scheduled to work for one of the archaeology professors that June. Dr. Poos assured me it was unnecessary; I would find everything I was looking for in history. So, if that fall after my high school graduation my love with history was officially consummated, when was its genesis? It could have begun with my upbringing. My dad, born in the former Yugoslavia, remembers World War II. My mother remembers growing up in post-war Germany as an Army brat. Both had a respect for history which they shared with us. But, that’s pretty ethereal for a point of origin. 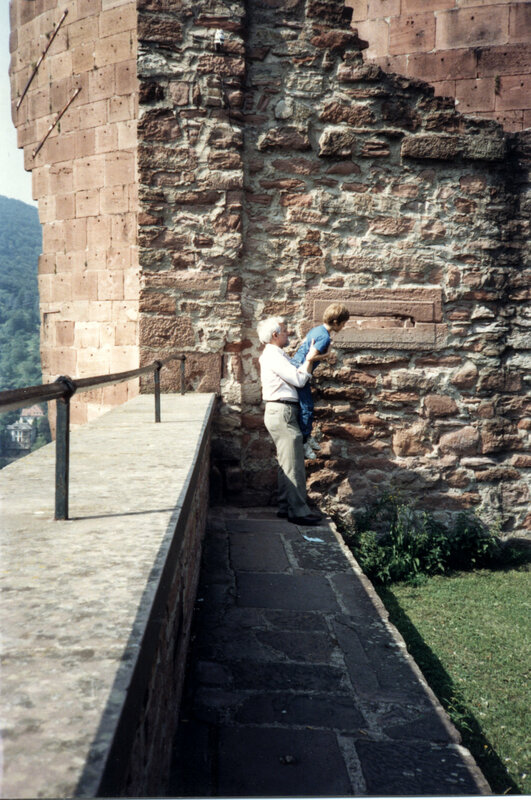 Because both of my parents were professors (at WVU), their schedules in concert with their natural curiosity often permitted lengthy summer vacations, which, with careful planning and budgeting, resulted in some great adventures. One of the first recorded in my memory, was the trip out west, during which my brother departed. 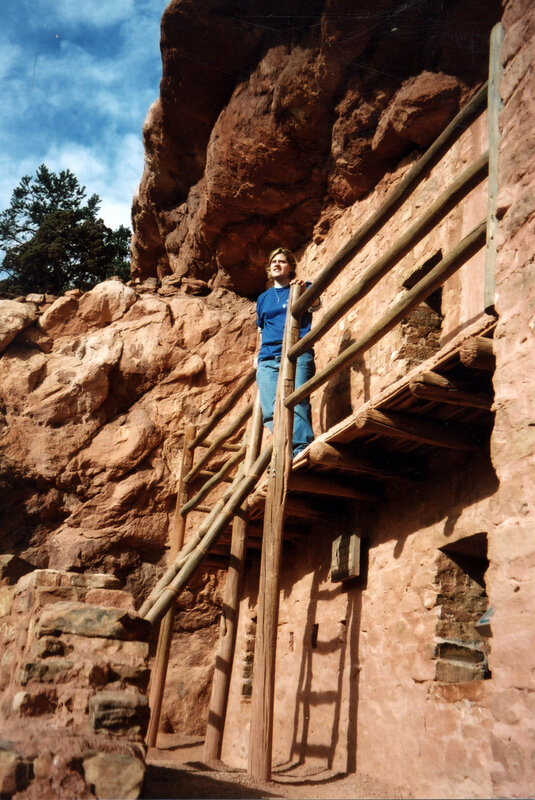 In the late eighties, the opportunities to explore the ruins of the (politically ill-named) Anasazi were greater than they are today; and, I was enthralled. I played in them with a red bandana around my neck and a straw cowboy hat on my head, puzzled by mother’s answers about where their builders went hundreds—hundreds!—of years before, when the dwellings were abandoned. I crawled around the ruins of Mesa Verde and ogled those in Chaco Canyon. With equal vim, I gaped at the eerie abandoned ghost towns and U.S. cavalry bases. I was utterly captivated by the Navajo and Pueblo Indians we encountered and still have the painted pottery turtle and lizard my parents bought for me when I wasn’t looking in the cold, gritty wind up in the table-top town of Acoma. In one set of ruins, I was exploring with a plastic six-shooter holstered at my side when a stinging maroon sandstorm flew up driving me for shelter and forcing me to wrap my bandana around my face like an Old West bandit with sand between my teeth. Exploring the American Southwest with my cowboy boots on! That first trip to the Southwest, planted a seed that grew steadily in the fertile, imaginative top-soil my parents had nurtured between my ears. Imagine the sturdy tree that has grown for the last twenty-five years. That is history for me: many branches, all reaching to different areas of interest and curiosity, all providing a variety of insights and creating varying priorities and relevancies in my contemporary world. Today, I am still fascinated by the fate of the Anasazi and, almost equally so, in how learned interpretations about this people have evolved since I first encountered them. That first mystery, laid the foundation for uncovering and solving mysteries, doing the detective work. 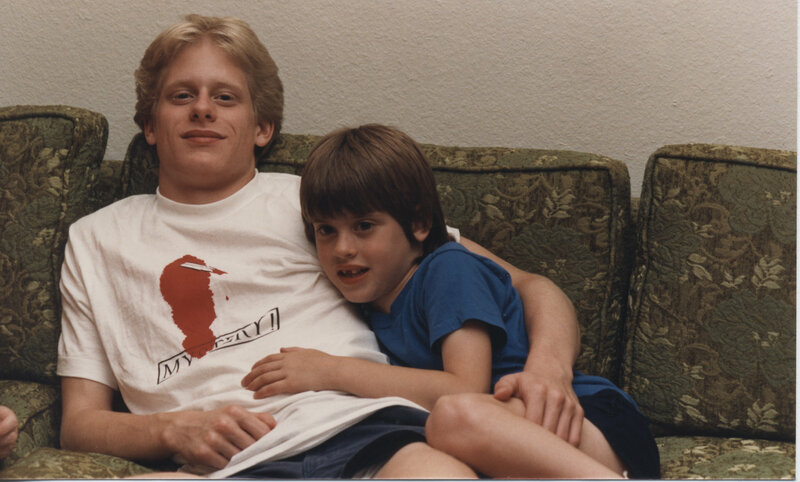 As a teen, I probably would have told you the most profound impact the trip had on me was my brother leaving—and emotionally it did—but looking back today, it is clear the trip also hardwired me intellectually. It introduced me to questions and concepts with which I have forever been both informed and consumed. When you know the meanings of words and don’t know what a sentence says it’s because you don’t know the GRAMMAR of the sentence, the structural system that puts words together in meaningful units and indicates the relationships between units. Put another way, the grammar of a sentence tells you who does what to whom. ~ Max Morenberg, Doing Grammar, 2nd ed. [Grammar] = “philology” in the widest modern sense, including textual and aesthetic criticism, investigation of literary history and antiquities, explanation of allusions, etc, besides the study of the Greek and Latin. Post-classically, grammatica came to be restricted to the linguistic portion of this discipline, and eventually to “grammar” in the [modern] sense. In the Middle Ages, grammatica and its [Roman] forms chiefly meant the knowledge or study of Latin, and were hence often used as synonymous with learning in general, the knowledge peculiar to the learned class. As this was popularl supposed to include magic and astrology, the [Old French] gramaire was sometimes used as a name for these occult sciences. In these applications it still survives in certain corrupt forms, [French] grimoire, Eng. GLAMOUR, GRAMARVE. Grammar was part of the Liberal Arts program in the Middle Ages through the Early Modern era. In today’s liberal arts system, subjects have realigned themselves and the humanities has been vastly downgraded, tragically. As the internet reveals, the English language has a greater number of executors and executioners. Without a proper understanding of grammar, rhetoric, logic and explanation are lost as writing collapses into a jumble of words or even merely letters, today. There has been some pretty bad flooding and wind damage in the Carolinas and Virginia, but Irene blew through the Mid-Atlantic last night doing far less damage than feared. Many Marylanders will be without power for a day or two and flooding remains a concern in some areas, but businesses are opening their doors today, the state has a 311 call center open and is taking calls reporting power outages and downed trees or large branches, and Governor O’Malley tweeted recently that Ocean City, evacuated for the storm, will reopen by noon. All good news. Down in Washington DC, the Old Guard continued its sacred watch at the Tomb of the Unknown Soldier, through the storm (just as they did during the last hurricane to sweep through). My family did get the message that church was closed due to lack of power, however the original message coming through featured a rather odd autocorrect: “No church. No Trinity.” Alas, Irene seems to have truly disrupted the Christian faith! The Columbian exchange of ecology is thought by many scholars to be one of the key markers of the modern era. Author Charles C. Mann explains the effects of earthworm stowaways and the introduction of potatoes. 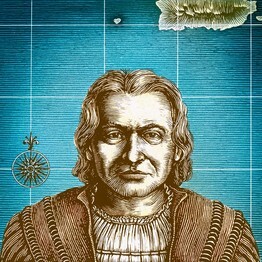 A look at the unintentional transfers in the Age of Discovery, read it by clicking here. You want to take a look at this for the pictures. This is an impressive collection of celebrity home libraries–bibliophiles unite! (and drool…) The article looks at the libraries of rockers, authors and actors. Ogle at them by clicking here. 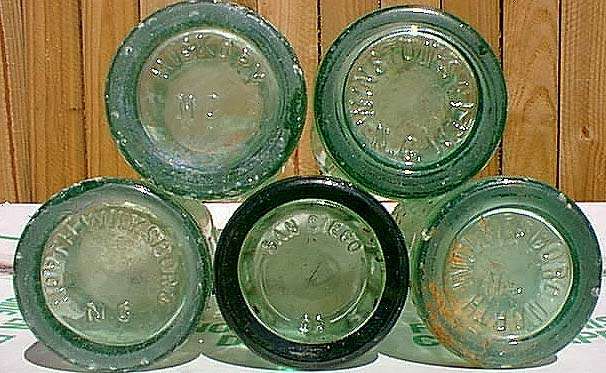 As we prepare for Hurricane Irene, Smithsonian Seismologist explains the Virginia Earthquake. Read the interview by clicking here. 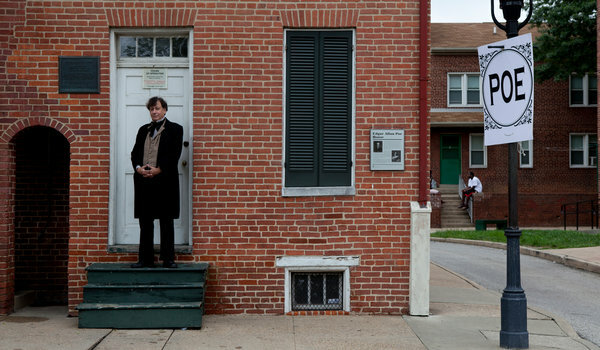 This article about the Poe house in Baltimore ran earlier in August. Its publication may have actually spurred a response that can help save the literary relic and Baltimore landmark. Read about the challenges by clicking here. Science rag, Scientific American, is profiling the importance of urban environments moving forward. Take a look at some of the things they want us to think about for the future by clicking here. As I write this, Reuters is reporting that British jets are striking Qadhafi’s bunker. Smithsonian went into its archives and pulled out these Reagan statements from twenty-five years ago regarding his decisions and battles with the longtime dictator of Libya. Read about it by clicking here. With all the lovely weather, folks on the east coast may be ready to leave town for a little extra R&R before summer is officially over. 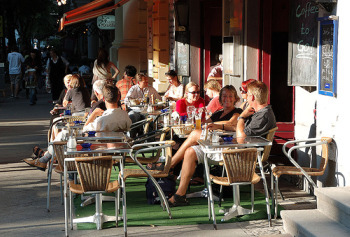 BootsnAll Travel has some recommendations for maximizing your time on international trips. Read them by clicking here. Care of The New Yorker’s book-people, are six great reads for your battened down weekend and the impending Irene. Read on by clicking here. Was the Papacy involved in the Norman Conquest? In 1066, the Normans invaded England. Did the Papacy support the action? There are numerous accounts of the invasion and the events that led up to it? 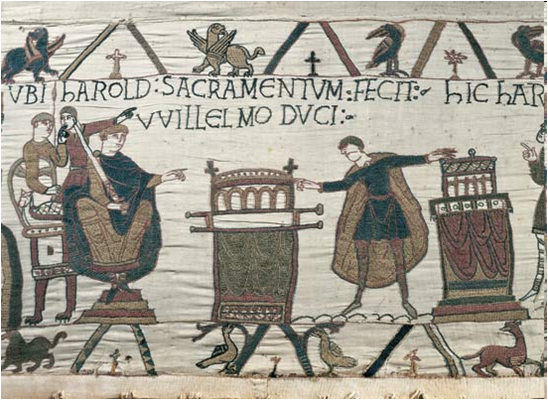 Multiple reasons are given for William’s invasion: Edward declared William heir while in Normandy; his rival Harold Godwine, swore an oath on holy relics to so support William and then usurped the throne; Harold’s coronation was illicitly performed by Stigand; William was Edward’s kin; Harold was Edward’s kin through marriage; and, William unlawfully invaded as Harold was named successor while Edward was on his death bed. Of course, we cannot really know definitively, but we can evaluate the accounts of the situation made by authors and scholars. Anglo-Saxons long had a very tight relationship with the Papacy, but there is an element of Norman diplomacy, particularly in this age of the 11th century reform, that begins to explain the startling change in relations with the Papacy and the Anglo-Saxons. Furthermore there are the questions of the papal banner, or gonfanon, with which the Normans went to war: Did it exist? Presuming it did, what does it imply about the Papacy’s perception of the events? I found the implications of the Papacy’s involvement have been largely left unstated despite the copious literature written about the Conquest and its aftermath in England. Consider that in 1066 the Papacy may have endorsed a military campaign by a Norman against a church that had long been its darling in Europe with the presentation of a papal banner. In the following pope’s reign, Gregory VII’s (Bishop Hildebrand was consecrated Pope Gregory VII after the Norman invasion) more military campaigns will be conducted under a papal banner and against Christian laity threatening church lands. In 1098, the First Crusade is called and the Crusade institution is begun. The Norman Conquest, thus, potentially contributes to an important evolution of thought. Beginning with Gregory the Great’s mission in England, to Bede and the missions of Boniface and down to the invading Danes in the beginning of the 11th century, Anglo-Saxons had a revered relationship with Rome. James Campbell, Henry Mayr-Harting and John Blair all demonstrate the friendship, reverence and devotion which the young Anglo-Saxon Church paid to the Church in Rome. The tradition was of such strength and durability that even the invading Danish king, Cnut, sought to comply with the traditions of building churches devoted to Rome’s saints and become thoroughly indoctrinated in Christianity. In The English Church and the Continent, Veronica Ortenberg describes presence of an Anglo-Saxon community within Rome itself, which received special privileges from taxation. This neighborhood tended to the large number of English pilgrims from every rank in its society. Under Alfred, and possibly Offa, the crown levied a Peter’s Pence, or Romscot, to be sent to Rome. The first culprit to indicate a separation from this love is the Bishop Stigand. Stigand, a simoniac, is a focal point for a new papal movements set on reform. He was appointed by the king and does not go to Rome to receive his pallium from the rightful pope, Pope Leo IX who refused to consecrate him, but to the anti-pope Benedict X. Eric John points out that King Edward was able to further undermine the rival Godwine family’s position in England when Spearhafoc was refused the episcopal see of London by Rome and Archbishop Robert because he was a simoniac, as well. Not only did he lose the see, he lost his abbey at Abingdon, despite having been the canonical abbot there. 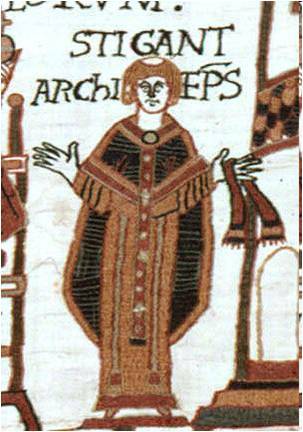 Stigand appears in the Bayeux Tapestry and the image is considered by H. E. J. Cowdrey’s paper, “Towards an interpretation of the Bayeux Tapestry,” in particular with the placement and occupation of his hands. Cowdrey’s interpretation focuses on the negative connotation of Stigand’s left hands and he hypothesizes his inclusion on the tapestry—especially with his left hand when holding the maniple—is intended to discredit him as bishop and Harold as king. It is an ironic representation as the maniple is taken by the recipient with a prayer asking God to cleanse one’s hands. Stigand and Spearhafoc represent a clergy which would raise the ire of the Church’s reformers in the eleventh century. This segues nicely into the next point, that of the relationship of William, Duke of Normandy, and the Papacy of Alexander II, itself highly influenced by the reform bishop Hildebrand. First, as Margaret Gibson points out, William had done everything he could in order to gain control over his own bishops. This sort of lay interference was being targeted by the reformers, but William endeared himself to many influential clergymen, nonetheless, through other reforms, finance and defense. Frank Barlow indicates that William had welcomed the Truce of God movement which had been put forth by leading reform clergy. The Truce, itself an extension of the Peace of God movement which declared that certain persons were never to be harmed, was intended to restrict violence during certain days and seasons. William’s intent as expressed to his vassals was to have disputes among them settled in the ducal court instead through arms. Both the Peace and Truce aimed to curtail lay violence since little central authority existed following the (gradual) collapse of the Carolingians. As Kathleen Cushing has suggested, this measure was in no small way intended to protect the clergy and Church lands from lay violence, often in the form of heirs taking back land that had been given as donations and by ancestors. In order to defend the Peace and maintain Truces, oaths were taken and the Church enlisted portions of the warrior laity to enforce it. [B]y his own considerable efforts, the Conqueror won his reputation as the champion both of orthodoxy and reform, so that, when the time came, the Papacy was the chief prize of Norman diplomacy, and the expedition to England was undertaken by this favoured son of the Holy Church with papal blessing and a papal banner. Gregory VII took the credit in the letter quoted by Erdmann. There was a clear connection established and fostered between the two camps. Is this evidence of a papal banner being granted to William? The implication, therefore, is that the Papacy is sending William to defend the Church in England from the likes of simoniacs such as Stigand, elsewhere discredited in the tapestry as noted by Cowdrey above. This presentation of a banner is generally understood to imply some obligation of a feudal type to the Papacy, but William and more so his son William Rufus will staunchly resist this. For example, Stigand, still Archbishop of Canterbury at the conclusion of the conquest and denied the right to crown William king, is not immediately removed from his uncanonical position. This feudal obligation to the Papacy will be altered in the calling of the First Crusade as the Crusaders are called to take up arms as milites Christi, creating new theological challenges for the laity and the clergy. 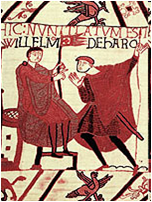 Regardless of this change, it is worth noting that, while William Rufus refused aid, a number of William the Conqueror’s family and dependents will answer the call to the First Crusade, including one of his sons who will grant the duchy of Normandy to William Rufus to acquire the necessary funds for the enterprise. Additional and fresh study is warranted on the exact nature and implications of the papal banner. Erdmann (who published in the 1930s) points out that the only visual representation we have is that of the Bayeux Tapestry, and the artist may never have seen it. Its significance remains enigmatic in terms of the evolution of the Church’s regard for violence despite Erdmann contributions. Further work must be done in characterizing this campaign as a Church authorized power play or something more in line of a proto-Crusade. Additionally, the actions of the Anglo-Saxon laity and clergy deserve to have greater comparisons drawn (or contrasted) with others who similarly fell victim to the Papacy’s authorization of violence. To what degree did a failing relationship with a reforming clergy justify endorsing this measure against them? Is the simony of its clergy and oath breaking (a problem for reformers in the Peace ot Truce) of its king enough to warrant the actions of Alexander II, Hildebrand and William? These questions require more research and have not been adequately answered in light of the evolution of sanctified violence. One thing is clear, the Conquest had a part to play in contributing to new ideas of violence and hopefully its part will be fully understood in coming research. Where were you when the 8/23/11 VA earthquake hit? Share your story! If you have the chance, please, leave me a comment describing where you were, what you were doing, who you were with and any other details you would like to share. I want to compile a collection of experiences! Please, include the following: city and state, how people you witnessed reacted to the quake, what you felt, whether you were hurt and any other details you think pertinent! If you didn’t feel it where you live, but would like to share your experiences or reactions to it, feel free! All are welcome! fas·ces | ‘fæs,ez | ·plural n. (in ancient Rome) a bundle of rods with a projecting ax blade, carried by attendants (lictors) of chief magistrates as a symbol of a magistrate’s power. • (in Fascist Italy) such items used as emblems of authority. fasces: they symbolized the power of higher magistrates (see above). Twelve lictors carrying the fasces had accompanied the kings; in the Republic the twelve fasces alternated between the two consuls on a monthly basis. [Romulus] thought that the rustics would feel bound to observe the laws if he made his own person more august and imposing by adopting various insignia of power, both in his dress and particularly by the addition of twelve lictors to accompany him in public. Some think he took this number from the number of augural birds that portended his kingship. I myself incline to the opinion of those who believe that, just as the attendants and other paraphernalia of office were borrowed from the neighboring Etruscans, who gave us the curule chair and the toga praetexta, so also the number twelve was borrowed from the lictors the Etruscans furnished to the man they elected king of their league, each of the twelve Etruscan peoples contributing one lictor apiece. One might more correctly say that the birth of liberty was owing to the annual nature of the consuls’ tenure than to any lessening of the power the kings had possessed. The first consuls enjoyed all the rights and insignia of the highest office: they were only forbidden to hold the fasces at the same time, lest double intimidation of the people should appear to be their aim. By agreement with his colleague Brutus was the first to hold the fasces, and he proved thereafter to be as keen a guardian of liberty as he had been its initial champion. In other words, separated from the context of a single ruler, it implied order and punishment meted for crimes committed against the law–not meted out of vengeance or whim by a tyrant (a Greek word, distinguishing a single-ruler from a democracy). The fasces is seen in a number of American structures and designs. Notably, the fasces is seen on our currency, which has historically been one of a nation’s most important canvases for self-representation. 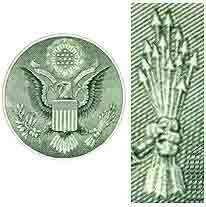 The eagle on the back of the quarter is clutching a fasces. There are also claims that the eagle on the backside of the dollar bill is gripping arrows that are meant to represent a fasces. This seems difficult to affirm as there are no arrows in a fasces, nor is the eagle gripping an axe. A pamphlet describing our monetary symbolism, published by the Federal Reserve Bank of Philadelphia, confirms that the arrows are representing war across from the laurels of peace in the other talon. The war-like symbol of the arrows gripped in the talon of eagle is sometimes considered a fasces. One of the more interesting suggestions of a Roman fasces appearing in American iconography is on the sides of Abraham Lincoln’s chair at the Lincoln Memorial in Washington DC. 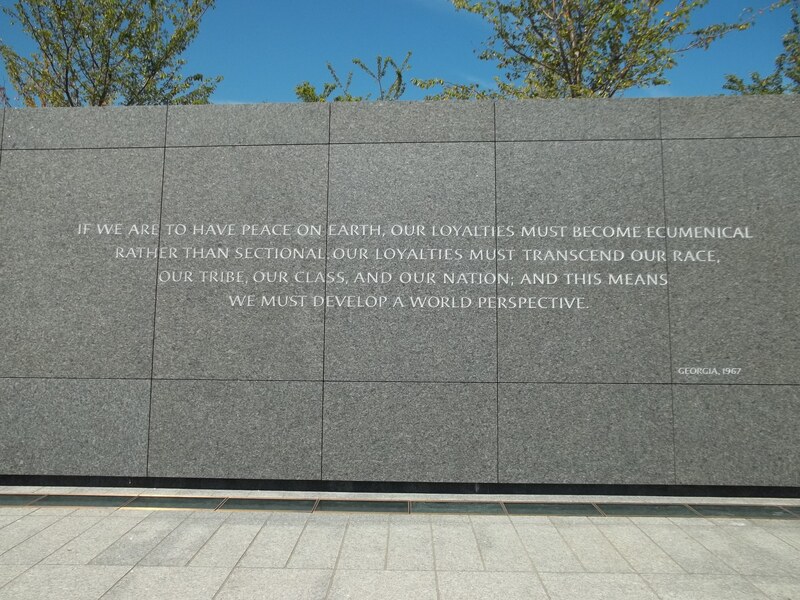 According to the National Park Service, sculptor Daniel Chestor French, included “the reeds wrapped together in the arms of Lincoln’s chair [to] prompt the visitor to remember the way that Lincoln wanted to keep us bound together as one nation.” There is no axe and the NPS does not suggest that French intended it to be a fasces. Bound staves appear on the Lincoln Memorial. If it is a fasces, it would appear to be one in the latter definition of the Office of the Clerk: the states bound by unity in the Federal government. Of course, given the association of fascism with the fasces, it is not hard to see how some would react to the imagery in the Lincoln Memorial. However, the association with fascism is pretty recent. The English word, fascism, comes from the Italian word fascismo, which is first known in 1921. 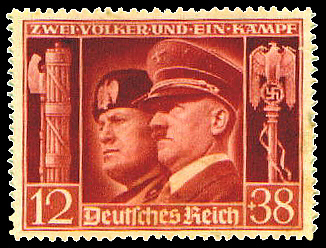 The Italian government under Mussolini used the fasces as its symbol. Symbol for the volunteers in the Italian government of Mussolini. The Spanish government under Franco also made use of the fasces, as did the Nazis in their iconography. These governments employed the symbols very recently in our collective history. So, wannabee-clever conspiracy-theorists, who point to the U.S. government, or Lincoln more specifically, as an oppressive regime in the fascist tradition through fasces-iconography are simply ignorant. Of course, having said that, the imagery is not likely to be employed in more recently introduced symbols because of its popularity with the fascist regimes–despite the obvious incongruity in their use of it, given the origins! While it has been usurped as fascist imagery, it is more appropriately the symbol of just, representative governance.